Egyptian football fans used to chant Mahmoud El-Gohary’s name whenever the national team stumbled, confident that the rescuer will be always there to give the ailing side a much-needed lift. In charge for four spells, Egypt’s longest-serving boss hardly disappointed. El-Gohary defied doubters on several occasions en route to his outstanding success that, arguably, could only be matched by the three consecutive African Nations Cups Egypt won under Hassan Shehata in recent years. A rare World Cup appearance in 1990 and a Nations Cup triumph eight years later are among El-Gohary’s achievements at the Pharaohs helm but his legacy goes far beyond that, having initiated a football revolution to wipe out the amateurish nature of the popular sport in the early 1990s. His proposals provided the stepping stone for a professional system that, despite its chronic deficiencies, turned around the fortunes of Egyptian football, opening the floodgates for players to swap clubs and indulge in the business aspect of the game. Critics at the time questioned the loyalty of the players and pointed the finger at El-Gohary, who himself followed the new pattern by surprisingly taking charge of Zamalek, the arch-rivals of his boyhood club Ahly. He enjoyed highly-successful spells as manager of the bitter Cairo foes, guiding both sides to the African Champions League titles to prove his credentials and become one of the most sought-after coaches in the region. He also managed several clubs in the Arab Gulf region but will be best remembered for ending Egypt’s 56-year wait for a World Cup appearance. 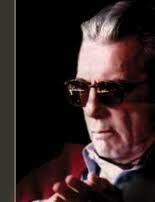 “I never felt such sadness in my life. This man taught me everything,” Egypt’s nomadic striker Ahmed Hossam “Mido”, who was promoted to the senior team by El-Gohary when he was only 17, said on Twitter. A soft-spoken but disciplinarian man, El-Gohary, who had an unglamorous playing career that prematurely ended in the early 1960s due to a knee injury, swiftly imposed his authority upon taking charge of Egypt for the first time in September 1988. 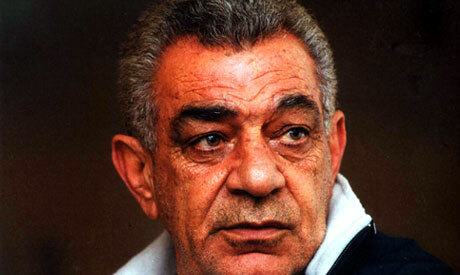 He nurtured some exciting young players, including striker Hossam Hassan and versatile defender Hany Ramzy, and was courageous enough to seldom field Ahly star Taher Abou-Zeid during the 1990 World Cup, which they reached following a home victory over North African rivals Algeria in a thrilling qualifier. "We were due to stay at the same hotel were England were staying during the World Cup, but when coach El-Gohary saw women wearing bikinis he changed his mind," Magdi Abdel-Ghany, who scored the Pharaohs' only goal at the World Cup in Italy, said of his boss. "He took us to the outskirts of the city to hold our training sessions there," he added. Egypt impressed in their first game, producing a superb attacking display to hold then European champions Netherlands to a 1-1 draw. However, a 0-0 draw with Ireland and 1-0 defeat by England denied them a place at the knockout stage. El-Gohary was still acclaimed by local media. Along with his zero-tolerance approach, he was known for his resolute defensive strategies and astute tactics, putting him far ahead of his Egyptian peers who somewhat disregarded the role tactics played in settling matches at the time. "This man was awesome. This was the only coach that I allowed him to insult me," Mido said in a television interview last year. "That's because he never blamed his players in public following any defeat for example. He used to take all the blame." El-Gohary was surprisingly dismissed following the World Cup after Egypt suffered a 6-1 defeat by Greece in a friendly game but the national team remained in need of his services, with his name popping up every time the team suffered a dip in form. Upon the order of then president Hosni Mubarak, he returned to the team in September 1991 and led them at the 1992 Nations Cup few months later but barely had time to turn around their fortunes as they failed to get beyond the first round. The third stint was remarkable, however. Critics sharpened knives for him after he handed an unlikely call up to Hossam Hassan, who was 32 years at the time, ahead of the 1998 Nations Cup but he proved them wrong after the prolific frontman finished as the tournament's joint top scorer with seven goals as Egypt clinched the title despite being written off by many. El-Gohary's footprints were evident in the constant maneuvers Egypt's forwards executed during the biennial tournament, including a superbly-taken free kick that allowed the team to score the second goal in a 2-0 victory over South Africa in the final. El-Gohary was sacked after Egypt suffered an embarrassing 5-1 defeat by Saudi Arabia in the 1999 FIFA Confederations Cup in Mexico but the Egyptian Football Association brought him back less than one year later after French coach Gerard Gili was shown the door for some poor displays at the 2000 Nations Cup. Egypt narrowly missed out on a place at the 2002 World Cup following a tough qualifying campaign and were eliminated by Cameroon at the Nations Cup quarter-finals, marking the end of El-Gohary's era as the national team manager. El-Gohary still had a lot to offer, making use of his huge experience to start a new challenge in Jordan, where he took charge of the national team and made an instant impact. He steered Jordan to a place at the 2004 AFC Asian Cup quarter-final for their best ever achievement and was branded a hero by local media. He returned to Egypt for a brief spell as the Egyptian FA technical manager but resigned in 2009 over disagreements with the board of directors, whom he accused of attempting to hamper his projects of developing Egyptian football. 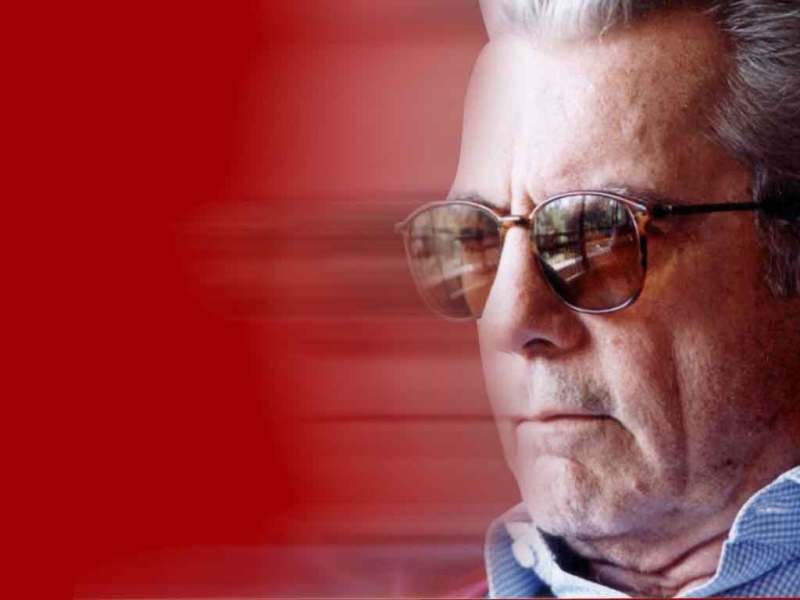 He served the final three years of his life as an adviser to the Jordanian Football Association. "El-Gohary is a man who adores Egypt. The cruelty of its people forced him to leave the country," Mido said. 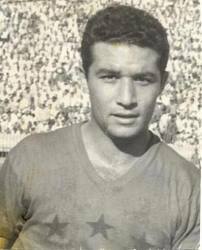 Mahmoud Mukhtar (nicknamed el-Tetsh) was an Egyptian football player. He was born in 1905 in Cairo, Egypt and played for el-Ahly club in 1922. He joined the first team in the same year and played his first game with el-Ahly against an English aviation team in the Sultan Cup of Egypt. El-Ahly won 2:1, with el-Tetsh scoring the winning goal. People nicknamed Mahmoud Mukhtar el-Tetsh because of his short stature and ability to jump, which delighted people. He was known to a small Bahlawan in London, who performed at the Buckingham Palace concerts. El-Tetsh was part of the captain of the National Team for ten years until he decided to retire from the game, which he did at the height of his career in 1940. Egypt also participated in the 1924, 1928 and 1936 Olympics. El-Tetsh assumed the post of secretary general of the Egyptian Olympic Committee from 1956 until 1959. The Ahly Club in el-Gezira has a stadium named after el-Tetsh to commemorate his role in raising the level of the game in the Ahly Club. محمد لطيف أو شيخ المعلقين، هو لاعب كرة سابق بنادي الزمالك ومنتخب مصر لكرة القدم. لاعب كرة قدم قديم ومدرب ورئيس النادي الأهلي سابقاً والمدير الفني لمنتخب مصر في الثمانينيات ومدير فني للاتحاد الإفريقي لكرة القدم ومحاضر دولي. 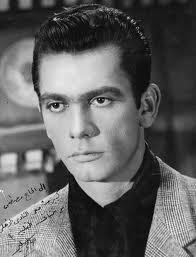 Saleh Selim (b. September 11, 1930 d. May 6, 2002) was a famous Egyptian football player and actor. He was nicknamed El Maestro because of his way of leading the Ahly football team to many victories. He then became the manager of the team, then member of the board of directors of the club. He finally became one of the most successful presidents of the club. Thabet El-Batal (16 September 1953 – 12 February 2005) was an Egyptian international goalkeeper.He played club football in his homeland with El Ahly between 1973 and 1991. 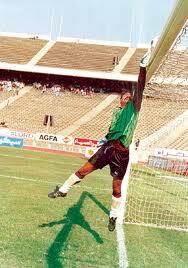 He is considered to be one of the greatest goalkeepers in Egyptian football. In Arabic, El-Batal translates into; The Hero. محمد عبد الوهاب من مواليد اول اكتوبر 1983 بقرية سنورس بمحافظة الفيوم ومحمد عبد الوهاب بدا مشواره مع الكرة وعمره 14 عاما بمركز شباب سنورس وعن طريق مدربه ذهب الى اختبارات البراعم بالزمالك واواجتازها بنجاح واستمر تدريبه بها لمدة 4 شهور لكن والده رفض التوقيع للزمالك للانضمام للناشئين وبعد ذلك انتقل الى مركز شباب الالمونيوم ومنه الى الفريق الاول . ونتيجة لتالق فى صفوف الالمونيوم اختاره الكابتن حسن شحاته المدير الفنى لمنتخب الشباب للمشاركة فى نهائيات كاس افريقيا للشباب رقم ( 13 ) فى بوركينافاسو فى يناير 2003 واحرزت مصر البطولة بعد تغلبها على كوت ديفوار 4-3 سجل عماد متعب هدفين واحمد فتحى وحسنى عبد ربه هدفا يوم السبت 18 يناير 2003 وكان محمد عبد الوهاب قد سجل هدف فوز مصر على مالى فى دور الـ4 وبعد عودته من بوركينافاسو تعاقد مع الظفرة الامارتى لكن لم يسافر وتم اعارته الى نادى انبى وقبل انطلاق موسم 2004- 2005 ابدى الاهلى رغبته فى ضم محمد عبد الوهاب الى صفوفه وسافر الكابتن محمود الخطيب الى الامارات يوم الاثنين 31 مايو 2004 وتم الاتفاق على استعارة اللاعب للاهلى لمدة موسمين ويكون للاهلى الاولوية فى شراء اللاعب اذا ما رغب النادى الاماراتى فى ذلك بعد انتهاء فترة اعارته للاهلى . وبعد انتهاء فترة اعارة محمد عبد الوهاب للاهلى فى ختام موسم 2005 – 2006 تمسك نادى الظفرة الاماراتى باستعادة محمد عبد الوهاب وفى الوقت الذى نجحت فيه مساعى مسئولى الناديين وحل هذه المشكلة لم يمهل القدر محمد عبد الوهاب حيث ودع الدنيا وانتقل الى جوار ربه راضيا مرضيا لتتوقف مسيرة لاعب انطلقت مثل القذيفة القوية التى صدتها الاقدار . - درع الدورى موسمى 2005-2006 و 2006-2007 . - كاس السوبر المحلى فى افتتاح موسمى فى افتتاح موسمى 2005-2006 و 2006-2007 . - كاس مصر موسم 2005-2006 . - كاس دورى ابطال افريقيا عام 2005 . - كاس السوبر الافريقى عام 2006 . واحرز محمد عبد الوهاب ثلاث بطولات مع المنتخبات بداها مع منتخب الشباب فى بوركينافاسو عام 2003 ثم مع المنتخب العسكرى كاس العالم العسكرية رقم ( 41 ) بالمانيا فى يونيو 2005 وفاز بلقب هداف البطولة برصيد 3 اهداف سجل هدف فى مرمى ايطاليا فى دور الـ 8 وفازت مصر 2-صفر وهدف فى مرمى المانبا فى دور الـ 4 واخيراً هدف فى النهائى فى مرمى الجزائر وفازت مصر 1-صفر واحرزت مصر كاس البطولة يوم الاحد 26 يونيو 2005 باستاد المدينة العسكرية بمدينة فاريندورف . كما شارك محمد عبد الوهاب فى كاس الامم الافريقية التى نظمتها مصر عام 2006 مع المنتخب الاول واحرزت مصر لقب البطولة وقادها الى ذلك الكابتن حسن شحاته واحرز محمد عبد الوهاب ركلة الترجيح الثانية فى النهائى فى مرمى كوت ديفوار وفازت مصر 4-2 .. وكانت اول مشاركة له مع المنتخب الوطنى فى لقاء مصر والسودان مساء الاحد 6 يونيو 2004 بالخرطوم تحت قيادة المدير الفنى الايطالى تارديللى وفازت مصر 3-صفر وسجل لمصر عبد الحليم على ومحمد ابو تريكه ومحمد عبد الوهاب الذى نجح فى وضع بصمته مع منتخب مصر فى اول مشاركة له . والراحل الغالى شارك مع الاهلى فى 26 مباراة للدورى منها 8 مباريات موسم 2004-2005 و18 مباراة موسم 2005-2006 فاز الاهلى فى 25 مباراة منها وتعادل فى واحدة امام الزمالك يوم 4مارس 2006 وسجل عبد الوهاب 3 اهداف مع الاهلى اولها فى مرمى الكروم فى الاسكندرية يوم 18 فبراير 2006 وفاز الاهلى 3-صفر والثانى فى مرمى انبى يوم 9مارس 2006 والثالث فى مرمى الاسماعيلى يوم 22مايو 2006 بالاسماعيلية وفاز الاهلى 4-صفر . 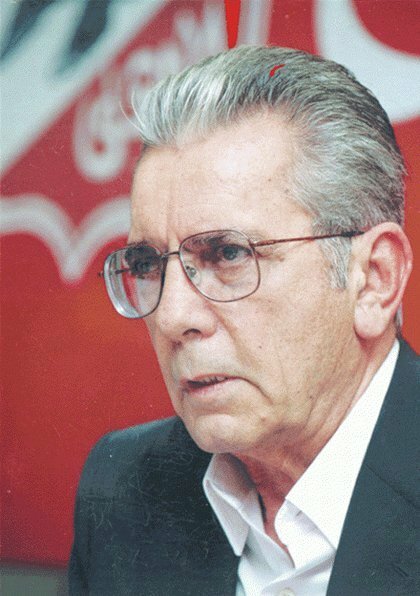 وفى كاس مصر ساهم محمد عبد الوهاب فى فوز الاهلى بالكاس موسم 2005-2006 وسجل هدفين الاول فى مرمى اسمنت السويس فى دور الـ 8 وفاز الاهلى 3-صفر والثانى فى مرمى حرس الحدود فى دور الـ 4 وفاز الاهلى 1-صفر وشارك محمد عبد الوهاب فى جميع مباريات البطولة الخمس . وفى دورى ابطال افريقيا شارك محمد عبد الوهاب فى 9 مباريات وسجل هدفاً فى مرمى توسكر الكينى فى اياب دور الـ 32 بالقاهرة يوم الجمعة 31 مارس 2006 وفاز الاهلى 3-صفر كما شارك فى مباراة السوبر الافريقية التى فاز بها الاهلى عام 2006 . Mohamed Abdelwahab (October 1, 1983 – August 31, 2006) was an Egyptian footballer, playing in the defensive left back position. He was an important part of the Egyptian squad that went on to win the 2006African Cup of Nations. 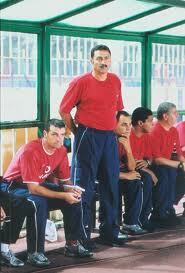 He died during training with his club El Ahly on 31 August 2006.